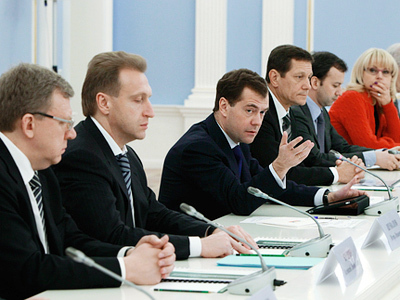 President Dmitry Medvedev said that state support to the unemployed should be targeted and more flexible. “Abstract approaches” are unacceptable when it comes to people, he announced at a meeting on government policy tackling unemployment. On Tuesday, the Russian head of state arrived on a working visit to Elista, the capital of the Republic of Kalmykia, where he discussed with regional chiefs government measures to iron out the country’s unemployment problem. 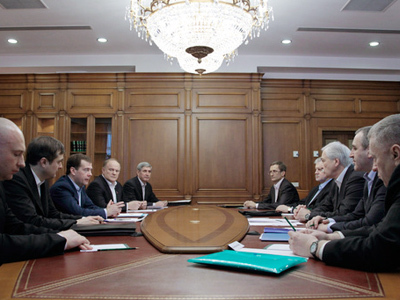 The upshot of the meeting was that Medvedev ordered the government to come up with proposals by April 1 that would improve the situation. He stressed that state policy on the unemployment had to be more flexible, while measures to help the jobless should become more targeted. “We cannot allocate money to Lord knows where, while being aware that there are no guarantees that the money will get to the addressees,” he stressed. The unemployment rate remains especially high among women with small children, the elderly, graduates and the disabled. Therefore these are the categories of citizens that should get help first and foremost. 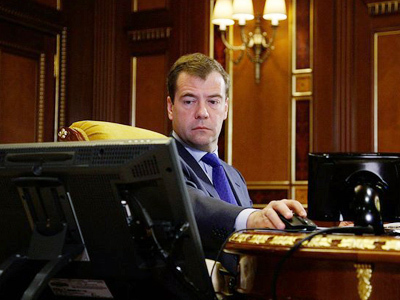 One of the suggestions, put forward by President Medvedev as a solution to the problem was, for instance, giving women an opportunity to get professional education while on maternity leave. “There can be no abstract approaches here. We should think about real people and not just about macro-economic figures,” the president stressed. 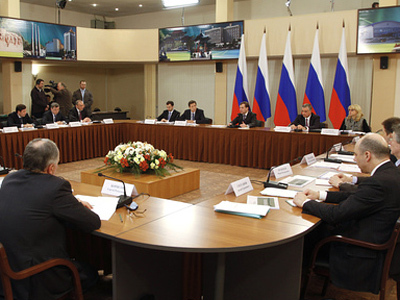 Rounding up the meeting, where regional governors and state officials also had their say on the problem, Medvedev vowed that their proposals would be considered. The president agreed that raising citizens’ income is one of the primary goals for the state as meager salaries are hindering progress. 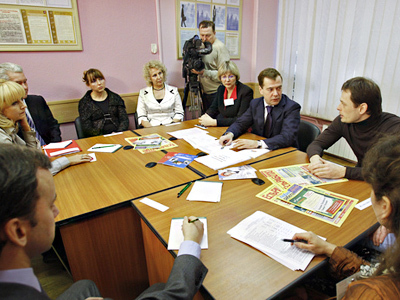 Medvedev called on everyone responsible for resolving this “very complicated” issue – including the state, employers, and trade unions – to create an atmosphere that would help boost salaries. And that involves improving Russia’s business climate as well as the state of the country’s economy. He noted that in terms of people’s income, Russia still lags behind many countries whose level of economic development it seeks to reach. The problem of so-called “mono-towns” – which depend on a single industry – also remains high on the agenda. 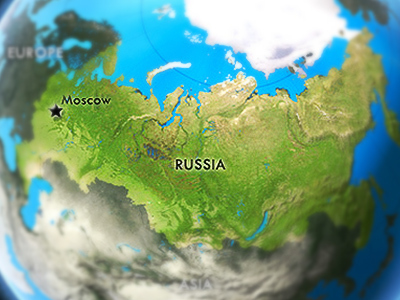 The dangers of such cities became apparent in 2009 in Pikalevo, south of St. Petersburg where the closure of the town’s aluminum factory resulted in the bulk of residents losing their jobs. There are hundreds of such small towns throughout Russia. During the meeting on Tuesday, Medvedev stressed that this topic should always be controlled by the government and regional heads. 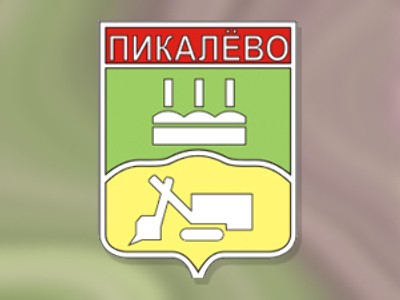 He suggested that in order to avoid other Pikalevo-like scenarios, business development programs had to be introduced. And those plans should not just be a way to later present a polished report to high-ranking officials, but a real strategy that can work, Medvedev emphasized.